Block Sarah (Libros para Cambiar de Vida)? We’d love your help. Let us know what’s wrong with this preview of The Total Money Makeover by Dave Ramsey. We’d love your help. Let us know what’s wrong with this preview of The Game by Neil Strauss. We’d love your help. Let us know what’s wrong with this preview of The Art of Possibility by Rosamund Stone Zander. We’d love your help. Let us know what’s wrong with this preview of Cumbres borrascosas by Emily Brontë. We’d love your help. Let us know what’s wrong with this preview of The How of Happiness by Sonja Lyubomirsky. We’d love your help. Let us know what’s wrong with this preview of Harry Potter y la Orden del Fénix by J.K. Rowling. 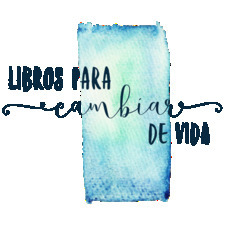 Sarah (Libros para Cambiar de Vida) has read 13 of 52 books. Sarah (Libros para Cambiar de Vida) read 50 books of her goal of 50! Sarah (Libros para Cambiar de Vida) read 31 books of her goal of 30!